When Adventist Community Services (ACS) leaders in Northern California heard about Maranatha Volunteers International’s commitment to rebuild hurricane-damaged structures in Dominica, they were determined to help. An ACS center at the Wesley Seventh-day Adventist Church was on the list of Maranatha projects, and they wanted to help fund the reconstruction. Each year, the group raises money for a worthy cause, normally giving a few thousand dollars.However, reconstructing the Wesley community center would cost much more. So the group set a goal at $25,000–well beyond any amount they had raised in the past. Yet, this was a need close to their hearts, and the group resolved to spread the word. They sent out bulletin inserts to each Adventist church in the Northern California region. Gordon Botting, Director of ACS & Health in Northern California, says it was a group effort. “We talked to different ACS centers. Each gave generously, and there were consistent contributions from across the conference,” says Botting. Nearly 35 churches and individuals donated to help reach the goal of $25,000. Many of these ACS leaders hope to visit the completed Wesley community center in 2019. Next year, the group is discussing more involvement with Maranatha by going on a mission trip to Bolivia. ACS is the official community outreach ministry of the Adventist Church in North America, with over 1,250 locations. ACS provides vital help to individuals and families who are unemployed, working-poor, uninsured and disadvantaged in poverty stricken and urban areas. 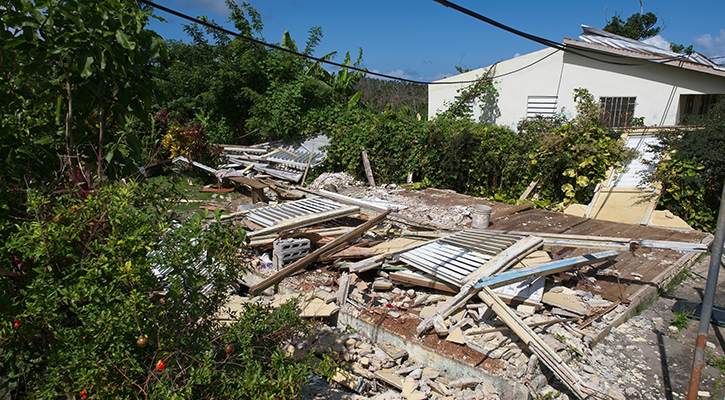 Maranatha continues to rebuild in Dominica, where 28 of 34 Adventist churches were destroyed by Hurricane Maria in 2017. Your generous support provides the means for this restoration to carry on. Please donate and consider volunteering on an upcoming project.